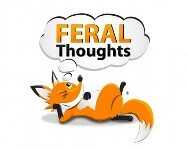 Feral Thoughts: Have your say on the cane toad plan - only a week to go. Cane toads are the public's Feral Enemy Number 1. More Australians place the cane toad in their "top five" ferals than any other species - in fact 9 out of 10 do so. It's a clear winner from the next highest rated feral, the cat, with 7 out of 10 putting that species in their top five. Opinions vary widely on what to do about the toad. I once spent an hour of my life with a fellow who was deadly serious that a $40 million fence from the Joseph Bonaparte Gulf at the top of Western Australia to the Tanami Desert was the answer. This is some of the most rugged country on earth, so I expressed a fair bit of doubt. What about the fires that burn that part of the world every 18 months? "It would need to be a substantial fence". What about the massive tidal zone up there - it's not that far from the horizontal waterfall with legendary tides, and before being the cane toad, it was the marine toad Bufo marinus? "We'd run the fence 3-500 metres into the sea". What about the wet season when massive floods occur? "Again, it'd have to be a substantial fence". This last answer, given like I had obvious learning difficulties, meant I finally gave up wished him luck. Another hour of my life was spent with a gentleman who wanted help converting his "toad stunner" into a "toad electrocutor". He wanted to demonstrate the device on toads illegally brought from Queensland through New South Wales and again illegally into the Australian Capital Territory to my office at the University of Canberra. I explained that I wasn't actually permitted to kill animals in my office for fun: I need animal experimentation ethics approval before doing so. Perhaps he shouldn't waste his valuable toads and just demonstrate the device without actually zapping an animal? The resultant flash of blue flame was enough to illicit its own thunder crack and make all the lights in the building dim. Apparently this reaction, which left me with a white spot in the middle of my vision for about a week wasn't enough to kill toads; it merely stunned them - could I help him get funding to ratchet the amps up higher to actually dispatch the animals? Again, I wished him luck in his endeavors. I can't remember now if I mentioned that it might not be wise to use his device in toad-containing ponds or simply deferred to Mr Darwin's theory on that one. A more persistent retired engineer had a longer series of correspondence with me about the use of electromagnetic resonance to obliterate the cane toad. The theory is that every species has its own particular resonance and sound waves at this particular frequency can be used to destroy it. Not only is this type of weapon used by skivvy-wearers in sci-fi movies, it is well documented in Joshua 6:15-17 and Hebrews 11:30-31 as the means by which the Israelites brought down the Walls of Jericho, so cane toads should be relatively simple for a well-funded modern-day Cooperative Research Centre. When a Senate Estimates Committee eventually tracks me down and questions why we didn't fix cane toads with electromagnetic resonance weaponry I intend using the "Rahab the harlot" defense. She was spared in the destruction of Jericho and I'll point out that only a couple of Rahab-toads escaping the electromagnetic resonance onslaught would probably be enough to keep toads going because of their ability to lay 30,000 eggs in a clutch. Many "solutions" have been proposed for the cane toad, the above not necessarily the most extreme. The current taxi-driver solution is to gather the toads and sell them to China. It's amazing how many times this one has been raised with me as a fix. Never mind that cultured frogs are already grown commercially in many parts of the world and have legs about three times the size of a cane toad and have the slight advantage of not having to worry about dealing with poisonous glands. Anyone willing to invest in that ripper of a business has probably already sent most of their money to a bank account in Nigeria. Eradication of the cane toad is not possible with our current technology and knowledge. Nor is anything currently on the horizon that would allow us to do so. When the actual environmental impact of toads is assessed, it is unlikely that continental-scale diseases (if we had one) or genetic modification (if we could do it) would be acceptable to the public. Given the pressure frogs are under, I don't think regulatory approval would ever be given. Some biological controls on a smaller scale are potentially possible; for example there is a lungworm that came with the toad that knocks it around that the toads on the "western front" have currently outrun; a trypanosome has been proposed for investigation but I don't think it would satisfy the specificity test and Australian frogs can avoid meat ants whereas toads are quite naive to them. Pheromones for disrupting toad or toad-tadpole behaviour have been identified and have some potential. Most importantly, in the last five years we have learned a lot about the role of the cane toad in the Australian environment. This knowledge equips us to take on the specific problems caused by the toad rather than trying to battle every single toad (FrogWatch Northern Territory said last week there were 94,000,000 of them in that part of the world). A draft Threat Abatement Plan has been developed and has a week left for comments. The Plan concentrates on what we can do about the toad, taking emphasis off the silver-bullet solutions. Not everyone will agree with this direction, but everyone is welcome to comment on the Plan and offer any suggestions they may have.